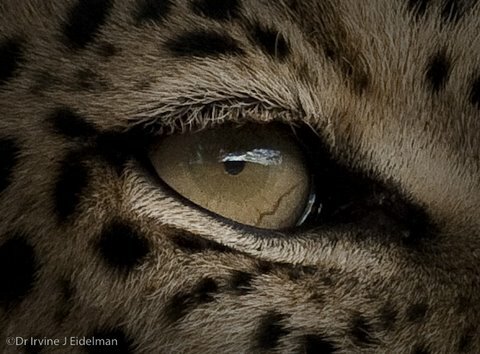 Interview with Irvine Eidelman - Wildlife Photographer and More! 1. Hi Irv, Tell us a little about yourself. 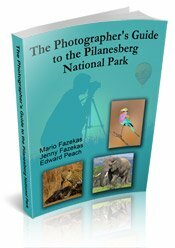 When and how did you get into photography? My late father had a great interest in photography and this rubbed off on to me. So I started photography at a young age and my first camera was a Topcon RE2 35mm reflex and later I got a Canon FT QL 35mm reflex. I became a member of the local camera club and remember those fun days of waiting weeks for the developed spools to come from the processors. Our school used to arrange trips to Kruger and my appetite for wildlife just grew. 2. You are a Psychiatrist, Photographer, and Publisher - how do you manage your time for these three demanding careers/hobbies? People tell me that I am blessed with an abundance of energy and am able to successfully time manage my different interests and profession. I put away time to go out and shoot my everyday shots and make bookings in the various parks well in advance. I try not to spend too much time in front of the computer and try to spend more time taking images and writing. I also don't worry about the weather too much. If you want to see wildlife you have to go and see them in their natural habitat, hot or cold, rain or no rain...they aren't going to come and see you at home. 3. 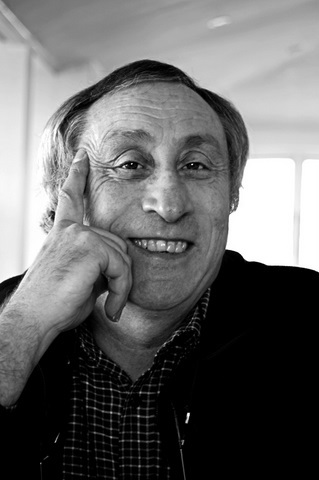 Your book 'Cape to Kalahari' is now out of print - do you intend to republish it sometime in the future? I would love to. 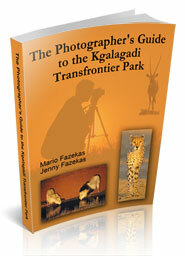 That book was a pleasure to do because Kgalagadi is my favorite locale to photograph and has been so since my first visit there in about 1965. Publishing a book is a very demanding process. Not for the fainthearted! The graphic designer Lisa Buirski did the layout and she did a magnificent job. I am very proud that my book was printed in South Africa. Right now my main focus is on my first novel: "The Lost Hours - D-Day 6th June 1944" and hoping to launch by year end or early next year. 4. 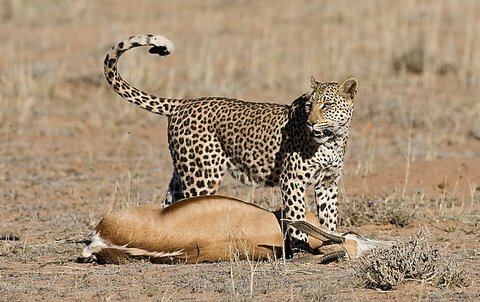 You are a regular visitor to the Kgalagadi Transfrontier Park in the Northern Cape - would you say this is your favorite wildlife photography destination? 5. Do you have any favorite routes or waterholes where you get consistently good sightings? I have lost count of the number of times we have been to Kgalagadi...must be well over 40 times. 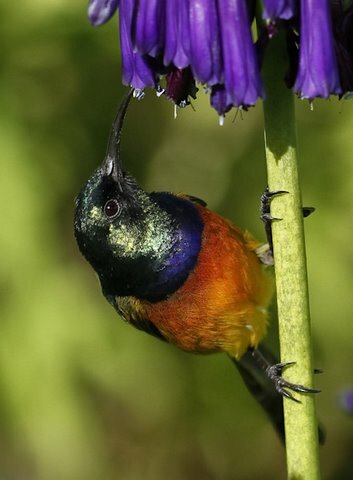 When we look at our pics, the best images and sightings have been within a 30km radius of Twee Rivieren. Favorite waterholes include Houmoed, Kij Kij, Munro, Rooiputs and Dalkeith. 6. 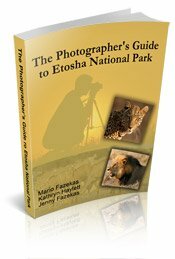 In July 2010 you visited Etosha National Park in Namibia for the first time. How was this experience? and a host of other animals. Visiting the waterholes at night is another great perspective and at Halali we saw Elephant, Rhino and Spotted Hyena in one evening. 7. Wildlife photographers seem to have different passions, such as macro, landscape, birds etc. What type of photography are you passionate about and why? I shoot what I see. It's always been that way whether its wildlife or pictorial or anything else. An image is a moment in time and that's what I like to capture. Yes there are times that I have to set myself up and think of composition, background etc....that's when I get special assignments like an architectural shoot. For wildlife I am content to sit and wait, If there is a bit of action around, all the better! Each camera body has a different lens on it and this way one avoids lens changing and dust contamination. A tip....buy a good camera bag. Something like a Think Tank bag which you can compartmentalize to your needs. Your gear is a big investment, so keep it safe and in these days have it under your eye all the time. I have heard horror stories about gear being stolen or dropped or overheated or frozen. 8. Many of your Cape Town images have been used in the refurbishment of Cape Town's famous Groote Schuur Hospital. 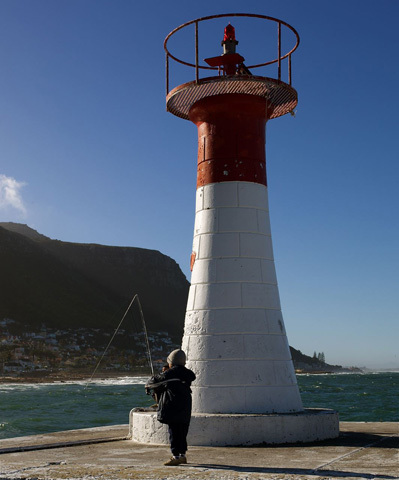 Is taking photographs of Cape Town's icons how you keep your photographic skills honed when not in the Kgalagadi,? The redecoration of Groote Schuur Hospital L Block was based on a theme that would make the block “friendly” and familiar. Cornelia Marshing-Lutz who was the designer, did a magnificent job in matching everything. My pics were of everyday Cape Town scenes which were blown up into panels. It is when you see your work being exhibited like this, that you spot where you can do better but also have the satisfaction of seeing the image out there. I keep honing my skills by teaching, reading, talking, and by taking shots whenever I can and experimenting. You can never stop learning and the technology of digital just marches along - and is expensive! 9. You also do walking photo workshops in Cape Town. What does it take in terms of resources and energy? I teach hands-on photography. You can't learn photography in a classroom. It's better to get out and about with the camera. I usually teach on a one-to-one basis. People contact me and we select a nice venue like a small harbor where I meet pupils and after a short explanation of how cameras work and all the jargon we go shooting and I teach as we go. I put away Fridays and weekends for this. It's very rewarding and I get to take shots as well. 10. Some photographers have to go solo on their safaris as their spouse doesn't enjoy photography or the wilderness experience (solitude, hot African sun etc.). Your wife, Jennifer, also loves the wilderness and photography - how did you get this right! Best to ask her! 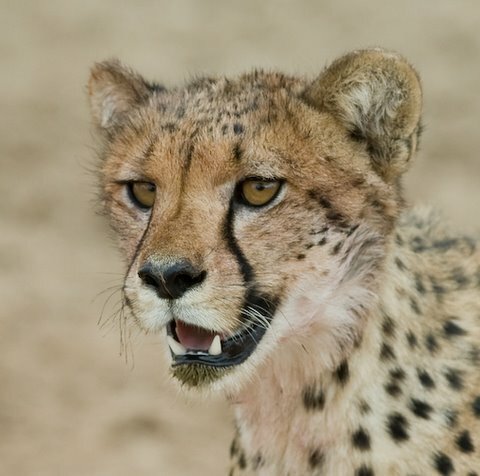 jen.eidelman@uct.ac.za We are both attracted to the remoteness and quietness of the Kalahari, Karoo, seaside and over the years I have introduced her to photography and have taught her the basic skills. She has really excelled and has her own favorite cameras and lenses for the shots she likes to take. She has a very special eye! She is also a librarian, and her knowledge of how to create and manage data bases and catalogues has kept our photo library ship shape. A word about computers and storage. Make it a habit of downloading your images every evening and then labeling them, then and there and back them up immediately. The way we do it is that we both have our own laptops with an external hard drive. The images are downloaded to the external hard drive, labeled and then backed up onto a second hard drive. Hard drives fail and back up is essential. Backing up to DVD is ok but it is time consuming and sometimes the files can't be read. Watch for external hard drive specials and buy as you need. I keep a few in stock. 11. Nikon and Canon are the world’s two leading photographic brands - Why did you decide to go with Canon photographic equipment? My second camera was a Canon 35mm film camera and I have just stuck with Canon. All my old lenses fitted the new Canon digital cameras and I just find that I get good service and results with my brand. I think it's important for aspirant photographers to know that when they choose a brand they are buying into a camera system, be it Canon or Nikon. Both are superb cameras...it's the system that differs. For those starting out in Digital photography......choose a system and buy the best you can afford, especially lenses right from the start and stick to components of the system. It is the cheapest route to go and you will get pleasure right from the start instead of going the “upgrade” route which is never ending. When my friend Nigel Dennis suggested I have a look at the Canon L series of lenses I got goose bumps at the prices. Now I get goose bumps looking at the results. 12. Unlike some professional photographers you do not get / ask for permission to drive off the public roads in the various parks that you visit yet you still get superb photographs. What's your secret? Patience and more patience and just “being there”. The more often you visit a wildlife park and the more time you afford yourself to take images the more you will get. Also when one comes across a great sighting, be it a lone buck, a flower or anything where the lighting and sighting is good, my feeling is to shoot as much as you can. Get the most out of that sighting. Shoot from all angles...it might not be a mind boggling event but you may just land up with a few great keepers instead of that lion in a shadow behind a bush two minutes before gate closing time. Also use your knowledge of the area and the sun position during those Golden Hours. For instance in Kgalagadi I tend to keep to the Auob road in the afternoon as I know the sun will be behind me. And, I tend to shoot more in the afternoon as the light is getting better....whereas in the morning the light becomes harsh as midday approaches. But then again...the animals don't have watches. 13. 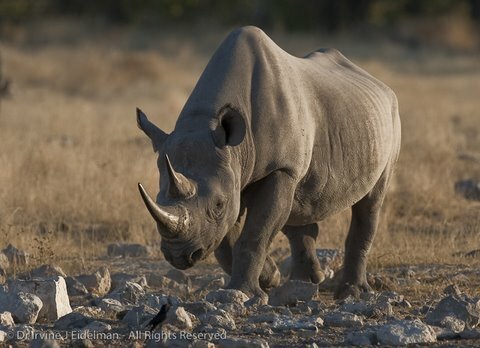 You recently started shooting with a 600mm f4 prime lens - what would you consider to be the ideal photo safari lens? This lens is bigger than the Space Shuttle and weighs as much!! I am proud to say that I bought it from my friend and great photographer Nigel Dennis. I don't think it is the ideal carry around safari lens. One has to be set up with this lens on a sturdy support system and be waiting for the action. Walking around with a lens like this is not going to be comfortable. 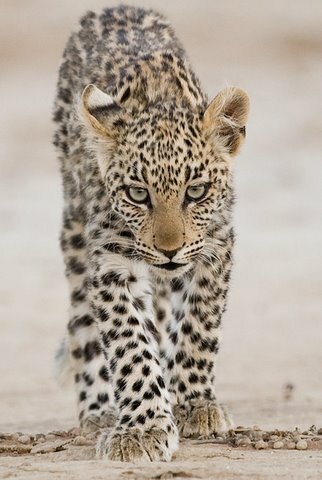 For walk around safari I would choose either Canon 100 to 400, 70 to 200 or the Nikon 200 to 400. I am constantly weighing up prime vs. zoom lenses. While primes are supposed to offer sharper images, the new generation zoom lenses give excellent results. Having said that, I have a 300mm f2.8 prime that allows me to capture the animal in its surroundings. Another point...one is not shooting wildlife all the time, so be prepared to invest in some “everyday lenses”. In the Canon range the 24 to 70 f2.8 L and the 17 to 40 f4 L come to mind as well as the 24 to 105 f4 L and the 70 to 200 f2.8 L. They are peerless lenses. For macro, the new Canon 100mm f2.8 Macro IS L lens is breathtaking. 14. Do you have a plan or strategy when you go out each day on your safaris? 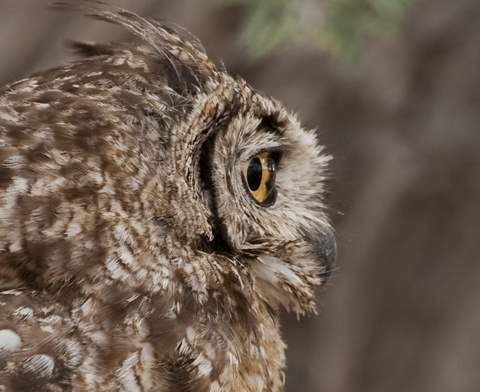 Do you check the sighting boards or do you just drive and see what you can find? All of the above with a good dose of luck and good planning. The more patient you are the luckier you get. Driving around for hours looking for game can be boring and unrewarding. Sitting and waiting at a likely place in a good position is more likely to be rewarding like a Leopard kill we saw at Houmoed. I keep all my cameras “ready”; each camera is set up with the central focus point on, set in Aperture Priority, ISO at 200 and shutter speed on highest frames per second. This is for wildlife. The night before I make sure that all cards are formatted and that I switch off the function that allows you to fire without a memory card. I only shoot in RAW format. This means you have to have enough storage space (Another expense). 15. What has been your most memorable photo safari and why? My very first trip to the Kalahari Gemsbok National Park in 1965. This stands out in my memory the most. Why? Well in those days it was more than remote...it was very remote and it took days of planning and driving to get there. 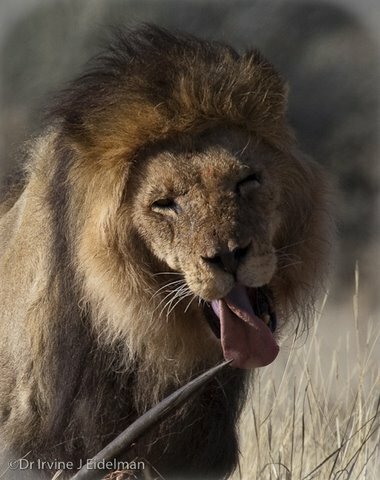 We stayed at Nossob and the next day I saw my first Kalahari lion at Kwang! 16. Have you had any close encounters with animals? The closest encounter was of the dangerous type. One summer we were sitting on our stoep at Twee Rivieren camp watching a storm build up. As we finished our meal we saw something slither into our chalet. We always keep the doors closed. This time we forgot and a 3-meter Cape Cobra had slithered into our chalet. It explored our photo gear and did various circuits of the chalet. I am (or was) very scared of snakes but Jennifer was bold enough to dash into the chalet and get the car keys and cellphone. I phoned the warden and he dispatched a ranger who caught the Cobra under a bed. Thank Heaven we saw that tail as it slithered into the chalet! 17. 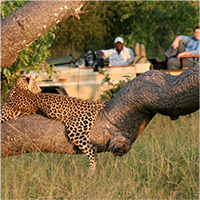 For many people an African Safari is a once-in-a-lifetime event. 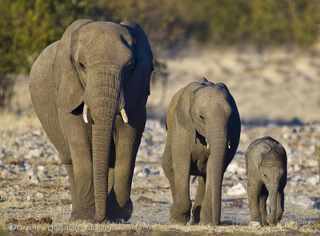 Do you have any advice for first-time visitors to places like the Kgalagadi or Etosha on how they can get the most out of their visit? Pick your time of year and plan the trip. For Etosha you need plenty travel time from Cape Town...at least 3 days. 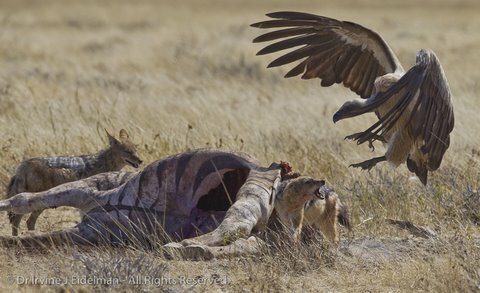 To Kgalagadi from Cape Town...that's nearer and we often sleep over at Augrabies National Park or Keimoes. With the advent of digital and the gear that goes with it, we tend to stay in camps that have electricity and aircon. We may be the exception because we take our computers, hard drives etc and there are many batteries to charge up each evening. One could take an inverter as well. 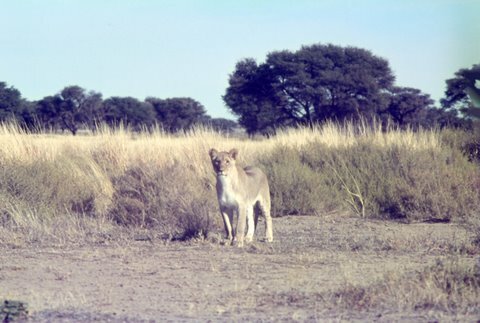 Kgalagadi is most rewarding in the summer and in March. Having said that - any month is good for me. The summers are furnace hot and winter nights are sub zero so you have to go prepared! But remember, the adventure starts the minute you get into the car. There are gazillions of images to take on the way.